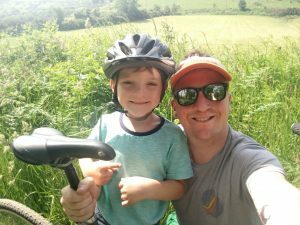 William and Aalin Cowley, aged 7 and 4, will be working hard over the summer holidays to complete their 75 miles, with a little help from mum, dad and baby brother, six-month old George. 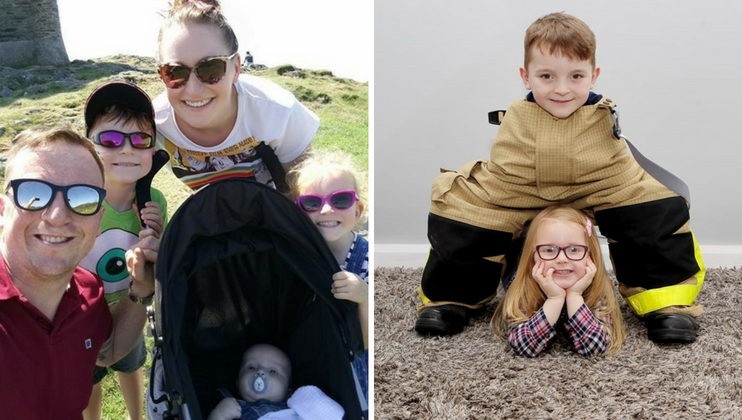 William, Aalin and George from the Isle of Man are being supported by mum, Kate, and dad, Station Commander David, as they complete their 75 miles in a variety of ways. 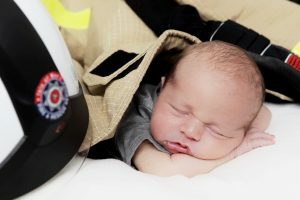 “David is Station Commander of Douglas Fire Station and David’s dad, Willie, retired from the same Station a few years ago as the last serving firefighter involved in the Summerland Disaster. 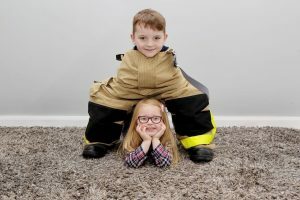 Because of this, the fire service is a big part of all our lives and when we saw the #My75Miles challenge we thought it would be a great way to raise some money for the Charity. 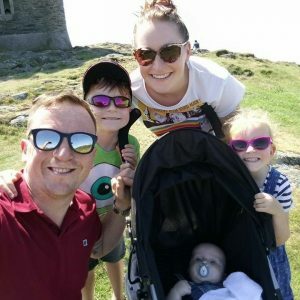 “We are doing a mixture of walking (or being pushed in the pram for George), running and cycling to achieve our miles. 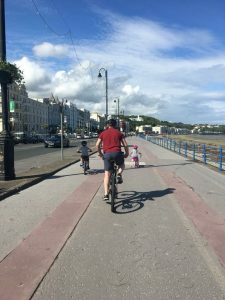 Recently William and David cycled across the Isle of Man from Douglas to Peel to rack up 11 miles and that is the furthest William has ever cycled. 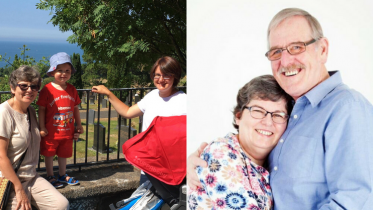 Bernadette is walking a mile for every month her husband, Station Officer Mark Travers lived, aiming to complete 805 miles by the end of the year.